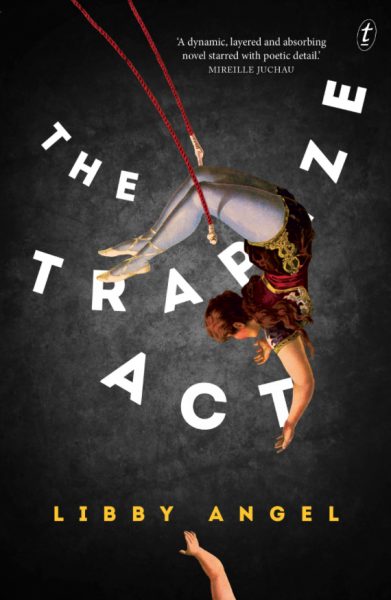 One of our Recommended Reads for February is The Trapeze Act by Libby Angel; a book which does a beautiful job of weaving together stories from the circus, portraits of family relationships, and tales of a doomed ivory expedition. Libby is a renowned Australian poet, but this is her first novel and it has been receiving well deserved praise. Libby recently took the time to answer a few questions from TWC Intern Arianne James. Congratulations of the publication of your debut novel, The Trapeze Act! How has the launch process been? Thank you. It’s been a very positive experience. Text Publishing handled the project with great care. 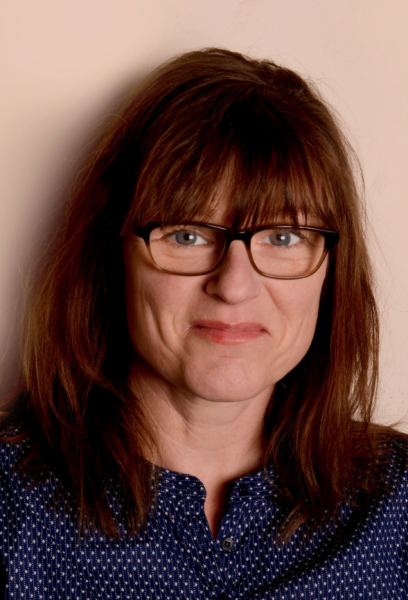 Do you remember when the inspiration for Ettie’s character first came to you? She seems to encompass a blend of different yet complimentary personalities. Do you see much of yourself in her character? I think characters can only ever be an expression of the writer’s own self–their fantasies or traumas–however unconscious. This is perhaps especially true of a narrator, the “I”. What is your writing process like? Do you prefer to brainstorm ideas in journals first before beginning on the computer? I have kept a journal for many years, but mostly what I write in it is rubbish: unmeasured tirades against society, emotional fallouts, that sort of thing. It’s important to have a space free of judgement and constraint. But when I want to write a book, I plunge on in to a first draft then rewrite several thousand times. Where are some of your most favourite places to write? Alone in a quiet house. When did you decide that writing was the career for you? It’s more a vocation than a career, I think, or a compulsion, or a sort of madness! Homer, Euripides, Milton, Emily Dickinson, Emily Bronte, Chekhov, Kafka, Beckett, Borges, Agota Kristof,, Marguerite Duras, Patrick White, Christina Stead, H.H Richardson, Barbara Baynton, David Malouf, Judith Wright, Lydia Davis, Lucia Berlin, Sarah Kane, Margaret Atwood, Elizabeth Jolley, Elizabeth Harrower, Shirley Jackson…. What were some of the difficulties (if any) of jumping between different historical time periods? I played around with the structure quite a bit. I wasn’t really interested in writing a straightforward linear narrative. I wanted to show how the past bleeds into the present. Finding a way to pay the bills, mostly. Look after your health. It might take a long time. The TWC is grateful to Text Publishing for providing us with a copy of The Trapeze Act to giveaway. Check out the details on our Recommended Reads page.